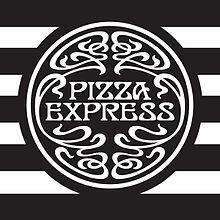 Free Garlic Bread or Dough Balls at Pizza Express - Unlimited Vouchers! Get a (unlimted amount of) free voucher for Garlic Bread or Dough Balls at Pizza Express. 4. At the last page it thanks you for your time and provides a link to a PDF file, with the name you detailed on the previous page. 5. Press back in your browser, change the name, and go into the last page again. 6. And there you have another unique voucher! 1. This voucher entitles the bearer to one free portion of Baked Dough Balls or Garlic Bread. ordering and surrender your voucher to your waiter or waitress. 4. You can use this voucher in conjunction with other offers and set menus. 5. This voucher has no cash value and can only be redeemed once. Sorry this should probably be in the freebies section. Mods please move! Thanks very much. Heat added. These are not worth eating, but will vote hot because they have been cooked. Give us proper garlic bread, not pizza base type flat bread with brushed on garlic butter. Garlic bread? Garlic bread? Garlic? Bread? Am I hearin' you right? Garlic bread? their garlic bread is crap .. better off getting 50% vouchers or 2 for 1 vouchers from promotional packs of pizza express home pizzas and spend the money to get something else..
can't argue with free, but their pizzas are well overpriced to start off with. their pizza is quality stuff not pizza you get from domino or pizza hut.... real ingredients real cheese unlike most places. Do you think you actually need to order something too? I updated the description with terms and conditions. You don't have to purchase anything, you could go with a group of friends (that all have unique vouchers) and just sit there with your free garlic bread/dough balls! Their pizza's are over priced, but you can geta 25% off main courses voucher here. They are pretty nice though, I really like the dough! "There is no restriction on the number of vouchers that may be redeemed per party but one voucher is required for each free starter. Please mention the offer when ordering and surrender your voucher to your waiter or waitress." so if there is no restriction surely i could go there with 5 with my name on and use them all? They accepted 2 vouchers but told me in future I must buy something to use them. They accepted 2 vouchers but told me in future I must buy something to … They accepted 2 vouchers but told me in future I must buy something to use them. Surely that' BS as the T&C's state otherwise? Can I buy to take away? Just got refused in another branch, they said you must order a main meal. They said this offer has been going on for years- you fill out a survey online and then get a voucher. I said the T&Cs do not say you need to make a purchase, but they would not budge. I told them to tell their head office to word their vouchers correctly. I also left a complaint on their "Contact Us" page on their website. Anyone else been refused? Just got refused in another branch, they said you must order a main meal. … Just got refused in another branch, they said you must order a main meal. They said this offer has been going on for years- you fill out a survey online and then get a voucher. I said the T&Cs do not say you need to make a purchase, but they would not budge. I told them to tell their head office to word their vouchers correctly. I also left a complaint on their "Contact Us" page on their website. Anyone else been refused? That's bull mate, they need to amend their T&Cs for sure! Just got refused in yet another branch. They said the website states that the voucher is to use on your "next visit". oO I said "okay, well this is my next visit." They argued that I have to sit down and order a meal. I said the voucher doesn't say that anywhere. The manager refused to budge. A stupid company with stupid vouchers. This will do nothing for their reputation as a restaurant. Their food is cheap rubbish anyway, pizza's thin as paper, stingy toppings, and vile powdered cheese instead of real cheese. Can't understand why so many eat there and pay the rip-off prices.